Crossover fills can be created for any two well curves in a track. This curve type fills the difference between two curves. 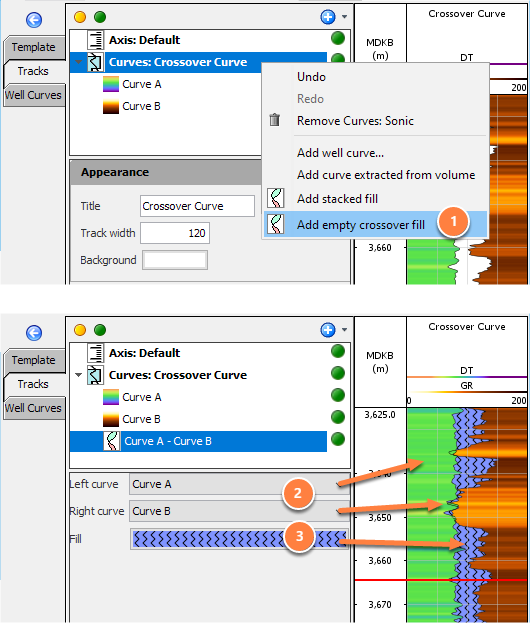 Use crossover fills to display the difference between two curves. These are typically used to display Neutron-Porosity / Density crossover. Select a curve from the dropdown menu for the Left and Right Curve.